The Czech landscape is quite varied; Bohemia to the west consists of a basin, drained by the Labe and Vltava rivers, surrounded by mostly low mountains such as the Sudetes with its part Krkonose, where one also finds the highest point in the country, the Snezka at 1,602 metres. Moravia, the eastern part, is also quite hilly and is drained predominantly by the Morava river, but also contains the source of the Odra river. Water from the landlocked Czech Republic flows to three different seas: the North Sea, Baltic Sea and Black Sea. 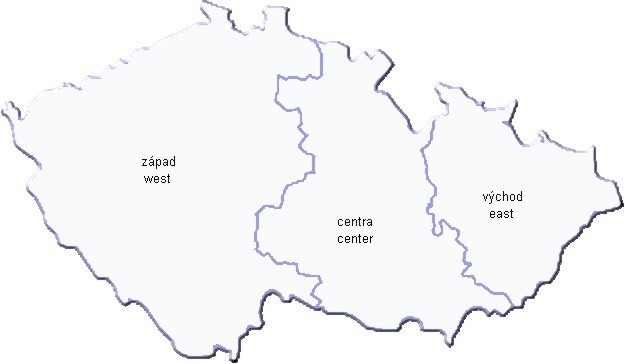 The Czech Republic also possesses a 30,000 m˛ exclave in the middle of the Hamburg docks which was awarded to Czechoslovakia by Article 363 of the Treaty of Versailles to allow the landlocked country a place where goods transported downriver could be transferred to seagoing ships this territory reverts to Germany in 2018.